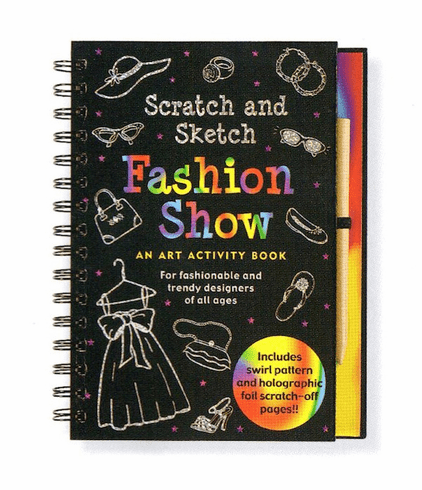 An Art Activity Book for Fashionable and Trendy Designers. Trendy designers can create their own fashions - from party dresses to jeans, T-shirts, flip flops, and jewelry - by scratching away the black coating to reveal the swirl patterns and glitter colors. Ages 6 and up.